Words Done Write: Does greed make people mislead? We see it all the time. Bait and switch techniques abound. A lie here, a half-truth there. Get people now no matter how you have to do it. The only problem is, what happens when they realize they've been misled? Last night I rented a horrible move, A Fool and his Money. As you can see from the photo on the right it's a Sandra Bullock film. Yeah, right. That's just what the greedy SOBs who pimp the film want you to think. Sadly, after wasting two hours on the flick, I Googled it and realized it was originally released in 1988, but re-released in 1995 after Bullock achieved fame in Speed. 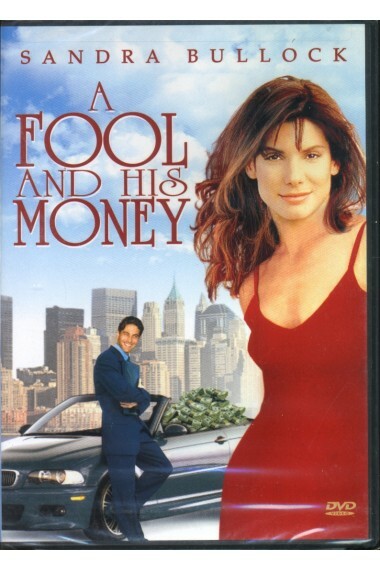 Some wiseguy decided to capitalize on her popularity and showcase her prominently on the DVD cover, despite the fact that Bullock appears in the film for no more than four minutes combined. A Sandra Bullock film? Not a chance. I'm sure you've seen misleading practices before. We all have, sadly. But do they win the race in the long run? Sooner or later, people always find out that you've misled them. Is the short term gain worth the long term alienation? I'd say no, but lots of folks say yes. That yes usually comes from greed. More money, more customers, more subscribers, more readers, more impressions, more sales, more traffic, more, more, more. But, after the truth comes out, after everyone finds out they've been misled, the damage is irreparable. Is a white lie still a lie? Is a half truth still 50% fact? Why gamble with your reputation when that's really what defines you in the end? The next time you push anything out into the public, do a reality check. Is this an honest and fair assessment of what people can expect? Does your webinar address the content that you said it would? Is your brochure copy true? Does your store actually carry the products advertised in your sales circular? Will your product deliver on the promises you've made? Misleading folks only leads to short term gains. Aren't we all in this for the long haul? Hi Amber....What an interesting "scam" that movie story was...shame on them. I wonder if Sandra Bullock even has anything to say about the misleading nature of that promo. I would bet not. And you are right...there are a lot of businesses that mislead to drive traffic...but, while it's appalling and unethical (IMO) I figure that their "popularity" is short lived because consumers are smart...it won't take the average consumer long to figure out that they have been "had"....and we ethical businesses can just sit waiting patiently, doing what we do best (ethical work) and the dissatisfied customer from "Scam Business" will soon be knocking on our doors...I really do believe that to be true. Every time I see scammy promotions for dental offices, I just shake my head and think to my self...just wait...Word off mouth continues to be the best and most reliable way of advertising and if I were Dr. ScamDentist, I sure wouldn't want 100 new patients that thought they were getting a non-existent deal to leave my scammy practice and tell all of their friends how unethical Dr. ScamDentist is. I would rather have an ethical practice and have one new patient that loves our practice go out and tell all of their friends about how awesome we are and grow slowly and organically. Awesome post as usual, Amber....thank you! I think you hit on something here, Claudia. A great deal of folks just aren't willing to grow slowly and organically. They're impatient and want immediate gratification. Gimme, gimme, gimme. In my job of commercial insurance sales with an independent insurance agency, not only do I have to obtain the history of a prospective customer and accurately portray it to the insurance carrier; then I have to turn around and present the 'offering' to the customer. Insurance companies are looking for 'clean' accounts. It could be very easy to 'misplace' a page of loss data if it look unfavorable. Once we get the pricing, it could be very easy to 'mistakenly' leave 5 vehicles off the schedule until after the deal is done which would certainly affect the pricing. But guess what, in just about every instance you would be found out and what does that do to your credibility? Trust me, we have lost accounts because unscrupulous agents have done this against us; but our credibility means a lot to us so we don't 'play' that game. It's a zero tolerance event for us and you would be terminated. More times than not, those accounts come back home to us. Great example of short term gain and long term loss, Bill. Seems like too many people conduct business in the here and now, discarding the need to see the big picture. Loyalty matters. Honesty counts. Reputations take time to build. Amen~! You nailed so many of the situations where this happens - even down to the local grocery store with that sale on milk that's never in stock for those dates~! I had no idea it was legal to do that to a movie cover~! Yeah, that drives me nuts when stores don't carry the sale items. Seems to happen quite a bit, too. As for the film, Sandra Bullock WAS in it, so I guess they're entitled to say that. But, the way they said it made it seem like she was a main character. I've seen janitors in films with more lines than she had. So good to see you here! It's been much too long! Amber, aloha. Right on! 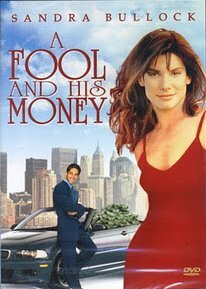 Had I rented that movie thinking it was a Sandra Bullock movie and then wasted hours watching it, I would have been seriously irritated. In my experience, short term gain from misrepresetnation always costs in the long term. As we know, word-of-mouth is the most effective form of advertising. Nothing spreads further, faster than the message that someone has been "wronged" or "hurt" by certain actions of another. Once you lose someone's trust or, at the very least, cause them to doubt you, it is very hard to gain back that trust. Thanks so much, Amber, for this great reminder. You're so right. Once wronged, trust is hard (if impossible) to regain. Totally not worth it in my book. The back of the cover also says the main guy develops a new "product". Turns out that product was a new religion. Totally didn't see that coming! I find this happens all the time with restaurant commercials. They show a big juicy burger, but then when you get it, it looks totally different.